Kemalettin Erbatur received double major B.S. (honors) degrees in electronic engineering and mathematics from Bogaziçi University, Istanbul, Turkey, the M.Sc. degree in control systems from Imperial College, London, U.K, and the Ph.D. degree in electronics engineering from Bogazici University, in 1992, 1993 and 2000, respectively. 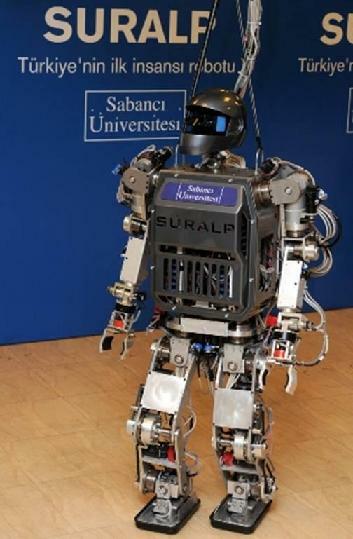 In 1993, he joined the Robotics and Automation Group, TUBITAK Marmara Research Centre, Gebze-Kocaeli, Turkey. In 1997, he was promoted as the leader of this group. In 2000, he became a faculty member in the Faculty of Engineering and Natural Sciences, Sabanci University. Between 2000 and 2002, he had a visiting researcher position at NIRO-The New Industry Research Organization, Kobe, Japan, followed by a visiting faculty position at the Electrical and Computer Engineering Department, Yokohama National University. For a period in 2003, he was a collaborator of the International Rescue System Institute, Kobe, Japan as a faculty of Sabanci University. He offers courses on robotics, automation and control. His primary research interest is in intelligent motion control and humanoid robots. He is the author of more than 60 papers which have appeared in conference proceedings and journals.